Property Details: 3 Bedroom, 2.5 Bathroom Home with 2400+ sq. 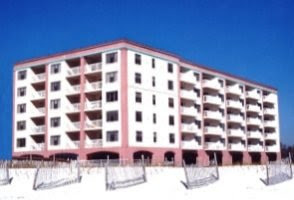 ft.
Destin beach home, East Pass Towers condo for sale. This incredibly popular development is among one of Destin’s finest condominum buildings. Aazing views from each room of this open floor-plan – enjoy some of the best harbor and East Pass views. Three large bedrooms and two relaxing living areas make this unique 5th floor residence unique. Come visit this beach resort home and you’ll see why some many love living and spending their vacation on the popluar Emerald Coast. Make plans to see this amazing home at East Pass Towers Condo in Destin Florida. Destin Florida is a Gulf Coast community on the Florida Panhandle located on a peninsula separating the Gulf of Mexico from Choctawhatchee Bay and has subtropical weather. The peninsula was originally a barrier island. Hurricanes and sea level changes gradually connected it to the mainland; however, in the 1940s it technically became an island again with the completion of the Choctawhatchee-West Bay Canal. There are many Destin real estate opportunities for those looking to own a piece of paradise – there a Destin Florida homes for sale from beachfront houses to back-water homes on deep water to weekend cottages.